The Testament is the document thatcontains the last Will of a person on how to distribute his property when he passes away. It is individual. Each person should grant his or her Will. Given the importance of this document, it is important to be well informed and have the advice of a lawyer. 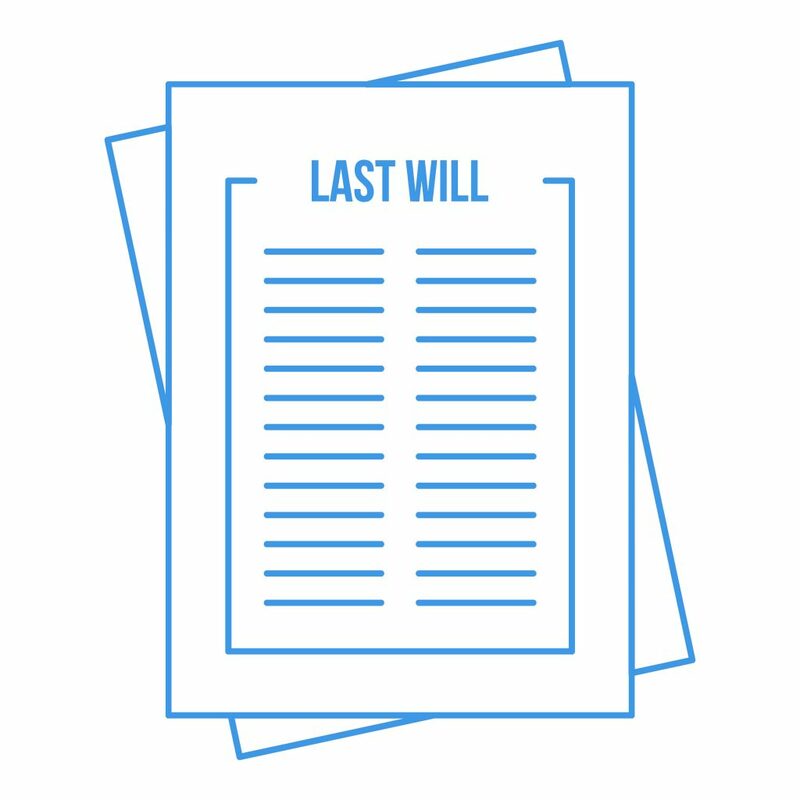 Last will is the most recent will of a deceased, the instrument ultimately fixing the disposition of real and personal property at the testator’s death. It is also termed last will and testament. Granting a Will is simple. First of all, the testator must decide how to leave the inheritance. The Will is revocable and can be changed as many times as you like, the last one leaves without effect the previous one. The Notarised Open Will (or nuncupative notarised Will) is the most common because of its advantages over other forms of making one’s Will (holograph Will, sealed notarised testament, and so on). It is granted in public deed before a notary. Previously, an attorney should inform the testator on how he can distribute his assets along with the heirs, writing this decision adjusted to the current legality. Once everything is decided, and written in two languages in two column, it is sent to the notary, making an appointment for its grant. The notary is in charge of incorporating the original testament to his protocol and submits a report on its existence to the Register of Last Wills. The basic content of a Testament. In the Last Will and Testament, the testator chooses who he prefers to inherit his assets and rights, and if there are several beneficiaries, be heirs or legatees, how he distribute goods among them. It is not mandatory to specify what property we leave to each heir, but if we leave a beneficiary. The usual thing is to leave a percentage to each child. After the death, the heirs must make an inventory of the assets and debts of the deceased, and proceed to partition. The testator can leave a particular property (a real estate, a jewel, money, etc. ), through Legacy to a person or institution, respecting the limits imposed by the legitime quote rules. The testator may also designate a guardian for a minor child. Also, it is possible to include other provisions, such as limiting the date or age at which a property Will become the property of an heir. When the testator’s marital status is married, and with children, the most commonly used Will be the one in which the couple leaves the usufruct to each other and appoint heirs to the children. It consists of making the widow usufructuary of all the assets of the marriage, guaranteeing him or she the right to inhabit in the family house while he lives without the children being able to object. In no case may the widow sell anything inherited from the deceased without the children giving their consent. When the two spouses passed away, the children will acquire full ownership of the property in equal parts or as they would have. Under British inheritance law, the testator may dispose of his estate and his possessions as desired. It is completely acceptable to leave all your assets to charity, a friend, to your spouse, or any of your children. In Spain, the testator is not always free to leave his patrimony to whom he wants and how he wants. He must respect the legitime quote right of the forced heirs. Under Spanish inheritance law, certain parts of the estate must be left to particular relatives when someone dies. These are the ‘legal beneficiaries’ and include spouse and children. It means, in the end, that the testator decides with total freedom only one-third of the estate. The legitimate is the figure that marks the limits of the distribution of the goods to the «forced heirs». These are the descendants of the deceased, the ascendants and the spouse, in this order. The order is important because the Spanish Civil Code give priority to some over others. The children and descendants are entitled to 2/3 parts of the inheritance, one of those thirds to be distributed equally, and the other ( a third of betterment) as determined by the testator. If there are no descendants, the ascendants are entitled to half the inheritance, or 1/3 if there is a widowed spouse. In the case of the spouse, he or she is entitled to 1/3 of the inheritance in usufruct if there were children or descendants; To half of the inheritance in usufruct, if there are ascendants, or to 2/3 of the estate in usufruct, if there were no ascendants or descendants. A will that does not dispose of property to the testator’s natural heris, depriving them of a portion of the estate to which they are entitled by law, is an unofficious testament. As an exception, the Spanish regions of the Basque Country, Navarre, Aragon, Catalonia and the Balearic Islands have their rules which also contain legitime quotes, but with peculiarities. For example, in Mallorca and Menorca are apparent or forced heirs the children or descendants of the deceased and, failing these, the parents. If they are four children or less, the legitimate one Will be a third of the inheritance. If they are five or more, the legitime quote shall be 1/2 of the inheritance. The legitimate of the parents is one-fourth of the estate. Regarding the rest of the inheritance, there is freedom bequeathing in the Will, although the widowed spouse Will be entitled to the usufruct of half of the estate if it there is descendants and of 2/3 if it there is parents. In Ibiza and Formentera the descendants are legitimate in equal proportion as in Mallorca and Menorca, and in their absence, the parents are apparent heirs. The legitime quota of parents Will be 50% of the inheritance unless they are with the widowed spouse, in which case it Will be 1/3. In some situations the law recognises that an heir may be deprived of his or her legitime part of the inheritance, being the most common cause to have denied to the father or mother food, physical or mental abuse, or both at the same time. In the case of inheritance from descendant to ascendant, the Civil Code allows disinheriting if the child has been abandoned, prostituted or corrupted, lost parental authority by sentence or denied maintenance, or if one of the parents has attacked the life of the other. The Civil law establishes the heirs to whom the inheritance corresponds following a kinship order, whether the deceased was married and with children or if the deceased had no progeny. In both situations, the person or persons -descendants, ascendants or spouse- who consider themselves heirs Will need to formalise before a notary a STATEMENT OF HEIRS ABINTESTATO. Collateral relatives who consider themselves heirs can only apply to the courts. Every person who increases his estate by inheritance must pay taxes. Its amount depends on factors such as the value of the goods inherited, the relationship with the deceased and the previous patrimony of which he inherits. • Kinship with the deceased: the more distant the relationship, the higher is the percentage of the tax. • The previous wealth of the heir: if the successor has a considerable wealth before the inheritance also pays more. ■ Other types of inheritance pay less tax, such as the business or the family home if the heirs are the spouse and the children.